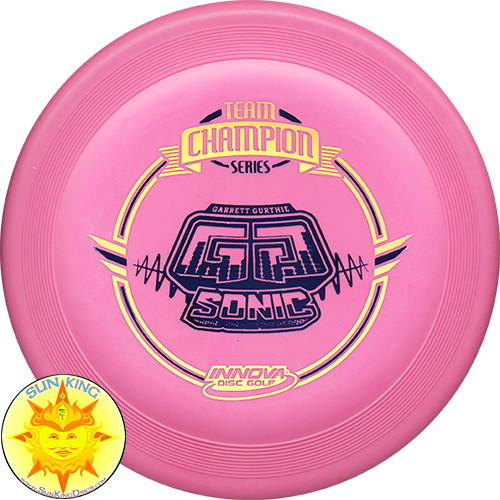 The Sonic, based on the Hero 235, is a unique putt and approach disc. 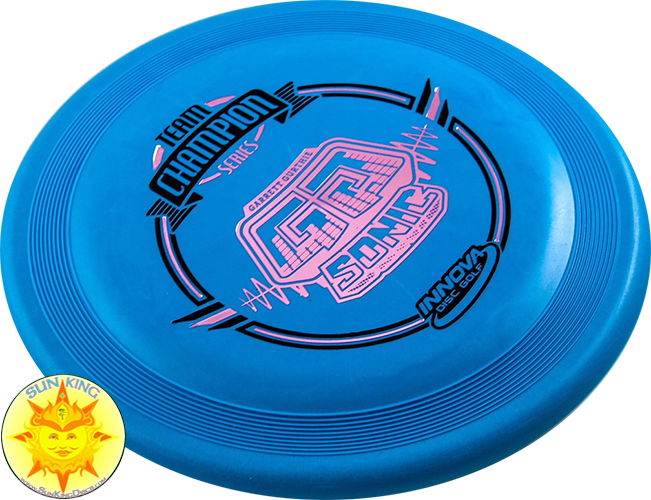 This disc has a comfortable low profile grip with great thumb traction. 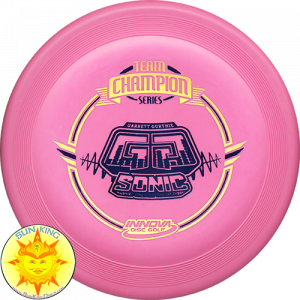 As a putter, the Sonic has a nice straight flight and sticks well in the chains. 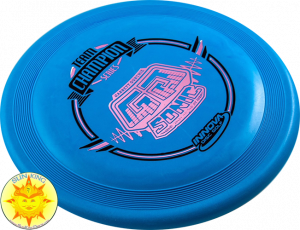 The Sonic also makes a versatile short range approach and escape disc when thrown sidearm or backhand. For longer approaches, it has a slow predictable turn and likes to land flat for very few roll-aways. This disc is very beginner friendly. The DX plastic is a baseline material that has good grip while remaining affordable.